Comments: Specimen of blocky willemite crystals. 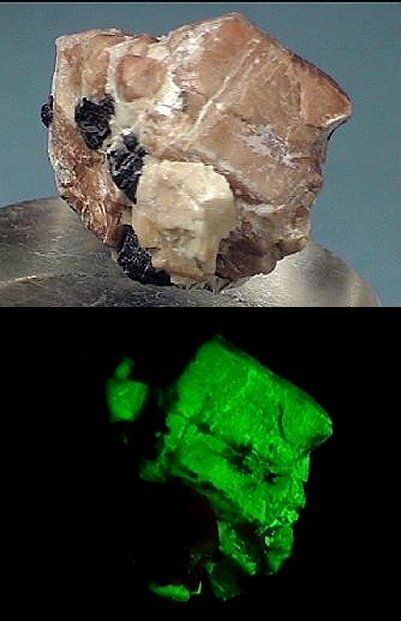 The lower picture shows willemite under SW UV light. Location: Franklin, New Jersey, USA. Scale: 2.8 x 2.3 cm..